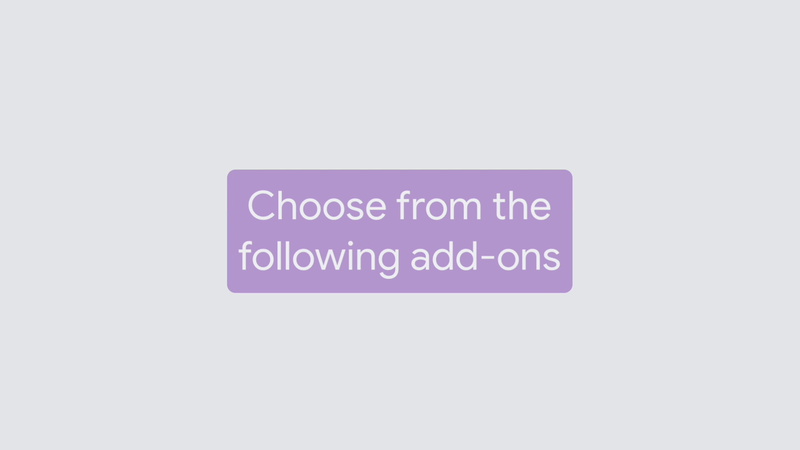 For your personal narrative, choose from the following add-ons. In Write a Song, you'll learn how to use the drum, and play note blocks to create a song. In Easter Egg, program a special feature in your story that is hidden from the user. Only you and your friends might know about it. Program another setting for your story in Add a Second Scene. In User-Controlled Decision, you'll allow your audience to interact with your story, and decide how it will unfold. Remember that you can choose to add whatever you'd like to your program, these are just some ideas. Find some add-ons that appeal to you and get started. Write a song to connect with your audience. Make a credits scene to thank everyone who helped you with your story. Make an Easter Egg that changes the appearance of a sprite. Add another scene to your story. In this add-on, you’ll be challenged to engage the audience in your story by asking a question and using their response to extend the story.